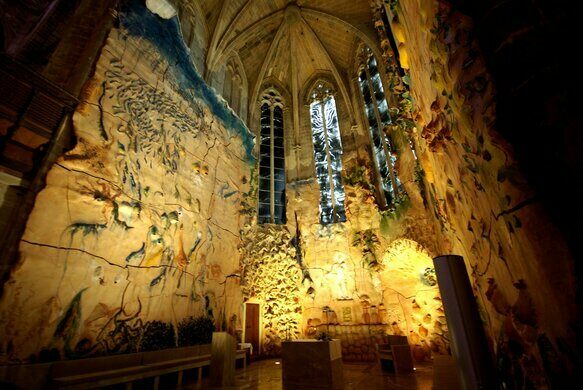 A Gothic cathedral probably isn’t the first place most people would go to find innovative contemporary artwork. 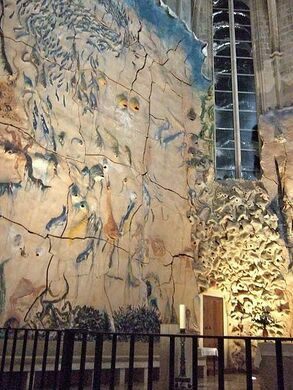 Pay a visit to the Cathedral of Santa Maria de Palma in Spain, however, and you’ll be treated to Miquel Barcelo’s breathtaking modern take on a well-known New Testament parable. Religious dwelling in a Spanish volcano. 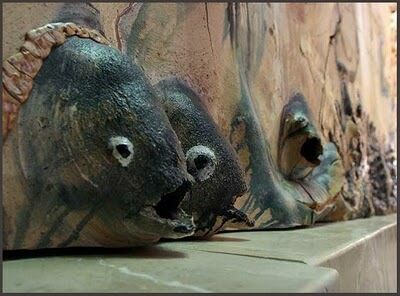 The installation, constructed from 2001 through 2006, is located in the right-hand apse of Saint Peter’s Chapel and represents the miracle of Jesus multiplying the loaves and the fish for his followers. 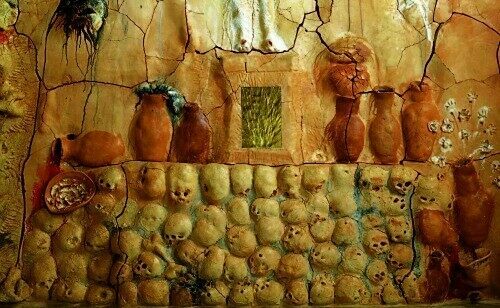 Cracked ceramic covers the chapel’s walls creating a cavelike feel while sculpted fish, bread, fruit, and human skulls feature prominently in the panoramic relief. The chapel’s stone furniture and darkened stained glass windows complete the scene’s dramatic effect. Built on what was once the site of an Arab mosque, the massive cathedral, also known as “La Seu,” is a historical and architectural attraction in its own right. 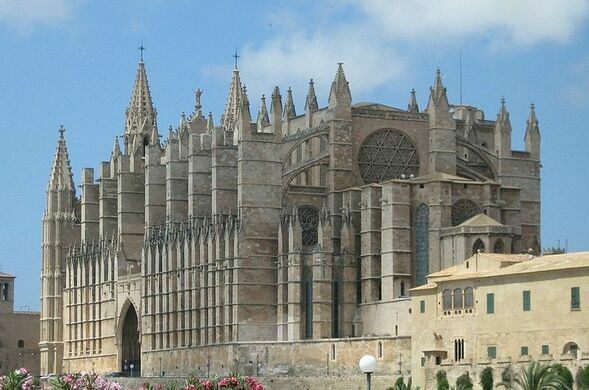 Its extraordinary French-style Gothic exterior dominates the Palma de Mallorca skyline. Begun in the 13th Century, the Cathedral of Santa Maria de Palma has been modified and reconstructed repeatedly over the centuries. It is famous for its enormous interior space, the play of light from its rose window, and its connection to its medieval past.